Following information about the presence of militants in Bugoo village in Arizal area, the security forces started a cordon and search operation. 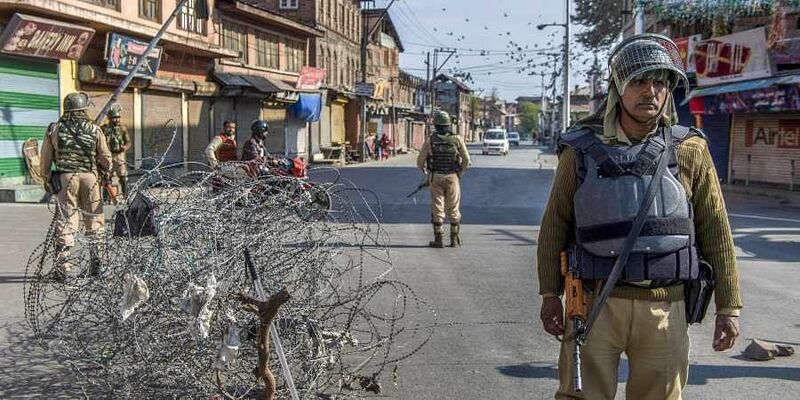 SRINAGAR: Two militants were killed by security forces in a fierce encounter which ensued during a Cordon and Search Operation (CASO) in central Kashmir's Budgam district on Thursday, a police spokesperson said. Internet mobile service in Budgam has been suspended to prevent spread of rumours. Acting on a tip-off about the presence of militants in village Zagoo, Arizal Khansahib, in Budgam district, troops of Rashitriya Rifles (RR), Special Operation Group (SOG) of Jammu and Kashmir police and CRPF launched a joint search operation early this morning, the spokesperson said. However, when the security forces were moving towards a particular area in the village, the militants resorted to indiscriminate firing with automatic weapons, which was retaliated, ensuing in an encounter. Two militants were killed in the encounter and their identity was being ascertained. Incriminating materials, including arms and ammunition, were recovered from the encounter site. Locals alleged that security forces blasted the house where the militants were hiding. The spokesperson said the citizens are once again requested not to venture inside the encounter zone since such an area can prove dangerous due to stray explosive materials. People are requested to cooperate with police till the area is completely sanitised and cleared of all the explosives materials if any, he said.